Classic, simple and very fashion-forward, this bridesmaid dress by Sorella Vita is incredible! 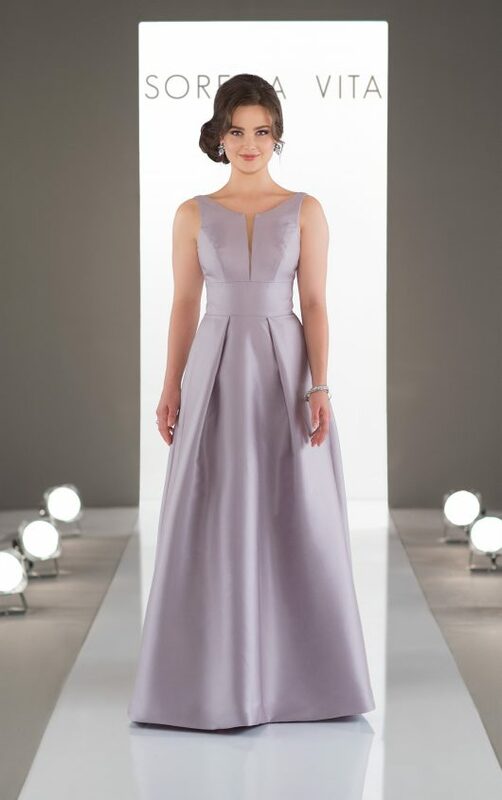 Drawing inspiration from traditional bridesmaid dresses, this gown is made of Mikado fabric for a structured and clean feel. 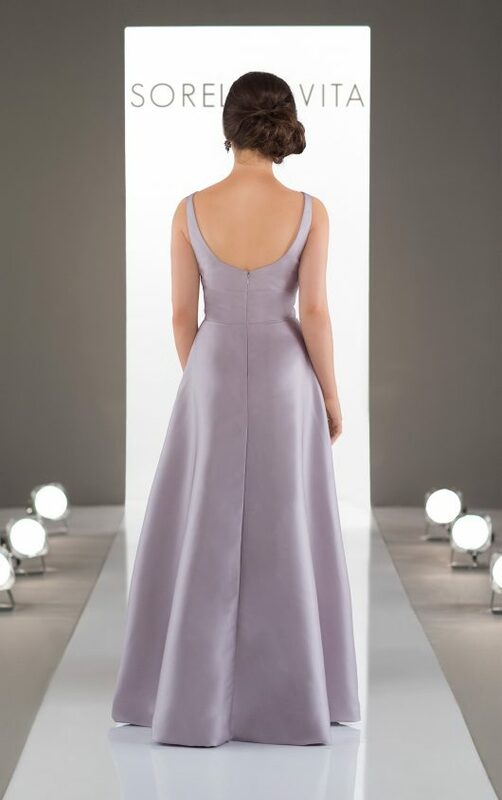 The high halter-style neckline is inspired by the latest fashion trends, while the pleated skirt and banded waistline make this dress a figure-flattering statement piece.